Oh, man, am I loving on this recipe! 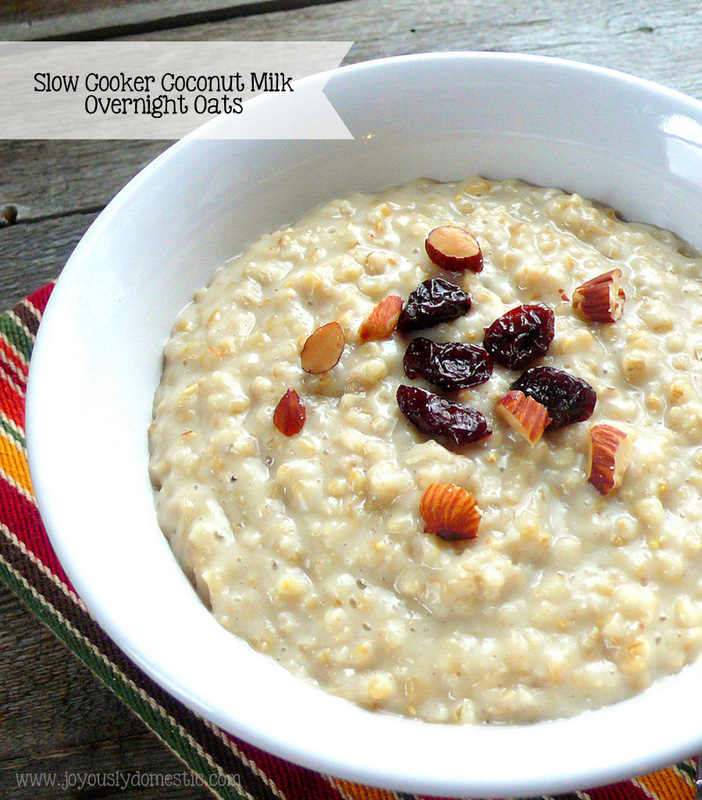 I shared with you my Slow Cooker Overnight Steel Cut Oats recipe back in 2012. It has the basics you'd expect to find in an oatmeal recipe - milk, water, brown sugar, vanilla, cinnamon and a little butter. I've been making it on a regular basis since then. The family loves it. But, I decided to try swapping out the regular whole milk for a can of coconut milk recently and scaling down on the list of ingredients. And, let me just tell you that I could kick myself for not doing so sooner. The premise of the concept of cooking oatmeal in the slow cooker is that you toss your ingredients in just before heading off to dreamland and wake up to breakfast ready in the morning. It's genius. It works so well for our family since all of our wake-up times are staggered throughout a ninety-minute period. Having a hot breakfast waiting for each of us is awesome. I just turn the slow cooker down to the warm setting when I wake up, then breakfast stays hot as each person trickles in to chow down. I have been digging coconut milk these days and have been experimenting with it in different types of recipes. This one did not disappoint. I use some organic cane sugar in this recipe, but you could substitute white sugar, brown sugar, honey or agave. This doesn't come out super sweet, so you'll want to allow for each person to sweeten their bowl as desired. And, you can go bonkers on the toppings or mix-ins you use - fresh berries (I'd wait to add them after cooking or you'll end up with mushy berries and discolored oats), nuts, seeds, coconut or dried fruit. Toss all of the ingredients into slow cooker. Lid and set to low. Cook for about 6 - 7 hours or until smooth and creamy. (Change temperature to warm once oats are cooked and while you await serving.) Stir well prior to serving. Serve with whatever toppings or add-ins you prefer (see passage above). Hi, I found your website from "MB Things I Know". You're clever to use coconut milk as some got the out dated information of eggs and coconut milk !! Both are having high cholesterol both both are the good and best cholesterol that you can't get them in other veggie or bean. 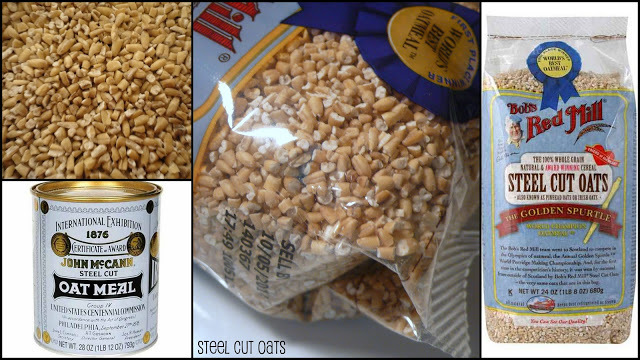 What is the differences between steel cut oatmeal and oatmeal as the steel cut oatmeal are broken oatmeal . Oh I found it -- Steel-cut oats are whole grain groats (the inner portion of the oat kernel) which have been cut into pieces. They are commonly used in Scotland and Ireland to make porridge, whereas rolled oats are used in England, other English-speaking countries, and Scandinavia. They are sometimes named after the grade of cut, e.g. pinhead oats; steel-cut oats from Ireland are sometimes called Irish oats. Hi, Mrs. Lee. Thank you for providing that information. :) Hope you enjoy the recipe should you try it! What size crockpot do you use with this recipe?